Mindtree Board, that strongly opposed hostile takeover by Larsen & Toubro (L&T), deferred the decision on share buyback and decided the meet on March 26. "Following detailed discussions in its meeting on March 20, the Board adjourned meeting to a future date. No decision has been taken in relation to the proposed buyback of equity shares," the company said in a press note after markets hours to exchanges on Wednesday. "The adjourned Board Meeting is scheduled to be held on Tuesday, March 26, 2019," the company said in a press note on Thursday. Mindtree founders were considering the share buyback to prevent any hostile takeover of the company. Since L&T has already announced the open offer, Securities and Exchange Board of India (Sebi) regulations preclude Mindtree from buying back its shares now. On Monday, L&T acquired 20.32% stake in Mindtree for Rs3,269cr from the Cafe Coffee day founder VG Siddhartha. 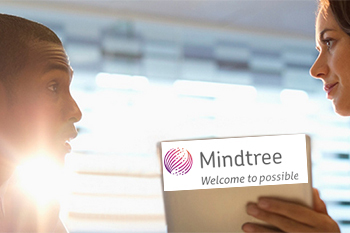 Mindtree Ltd's share price ended at Rs950 on Wednesday, up by Rs7 or 0.74%, from its previous close of Rs943 on the BSE. The scrip opened at Rs944.35 and touched a high and low of Rs965.80 and Rs944.35, respectively. A total of, 33,24,017 (NSE+BSE) shares have traded on the counter. The current market cap of the company is Rs15,600.33cr.